I had some leftover cabbage from a soup I'd made and wanted to use it up in a stir fry dish I was making for dinner. I added cooked shrimp at the very end of the cooking time, but you could add any type of meat or leave as is. Coat and heat oil in your wok or pan. 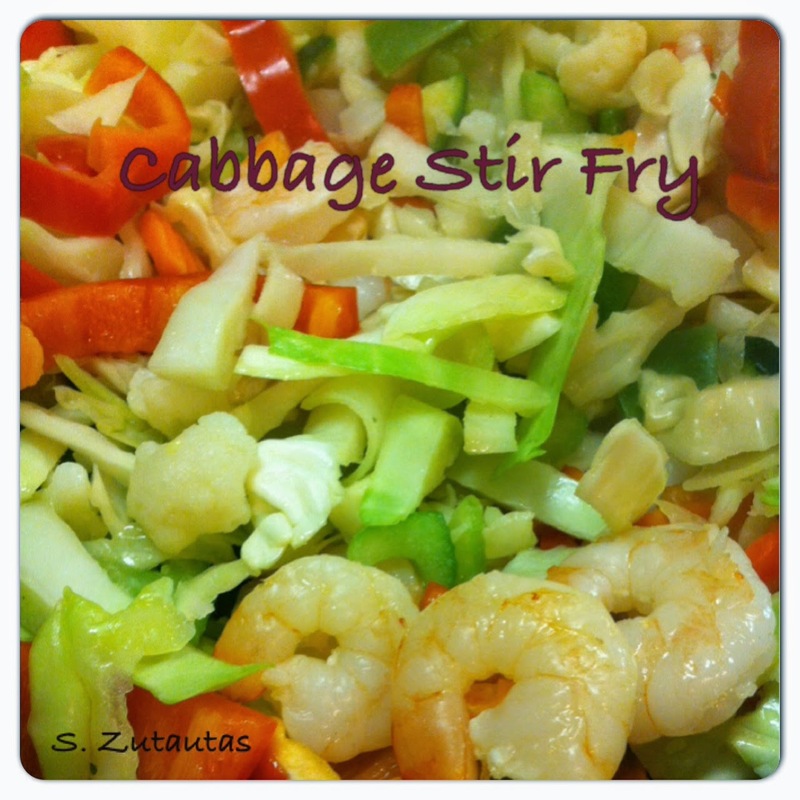 Add the celery and stir fry for 3 minutes. Next add the onion for a few minutes and stir. Add the chicken broth, frozen veggies, and sprinkle with the chopped garlic. Stir and add the cabbage letting this all cook for 5 minutes. Add the red bell pepper along with the pinch of salt and let cook until everything is done the way you like it. Make sure to keep stirring the entire dish. If adding shrimp or other cooked meat, add at the same time as the peppers. I served this dish with chicken fried rice, but it could be eaten just by itself.